On February 26th, Greentown Learn’s Manufacturing Initiative took a group of startups on a tour of several manufacturers and supplier facilities in western Massachusetts including, Trident Alloys, Worthington Assembly and Cofab, build knowledge of and relationships with the wealth of manufacturers in the western part of the state . These tours are a great way for startups to understand how their products will be made and how to best design their products for manufacturing and and they often result in working partnerships and contracts to produce innovative products in the region. The tour concluded with a small celebration at the brand new Valley Venture Mentors (VVM) Hub where the group was joined by partners, supporters, and advisors from the Pioneer Valley entrepreneurship and economic development support network. 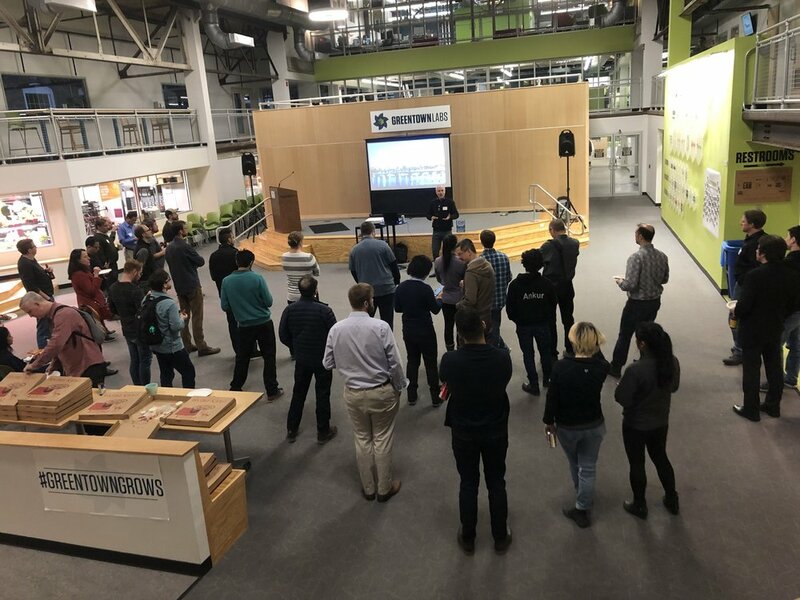 On February 28th, Greentown Learn hosted the Monthly Networking Meetup for Hardware Startups in Boston. These meetings provide a great opportunity for members of the startup community to gather and learn from one another, as well as to find potential resources to help further their ventures. The meetup included networking time as well as an opportunity for members of the Startup community to explain to the group, what they were working on, what challenges they were facing, and what help they could use. 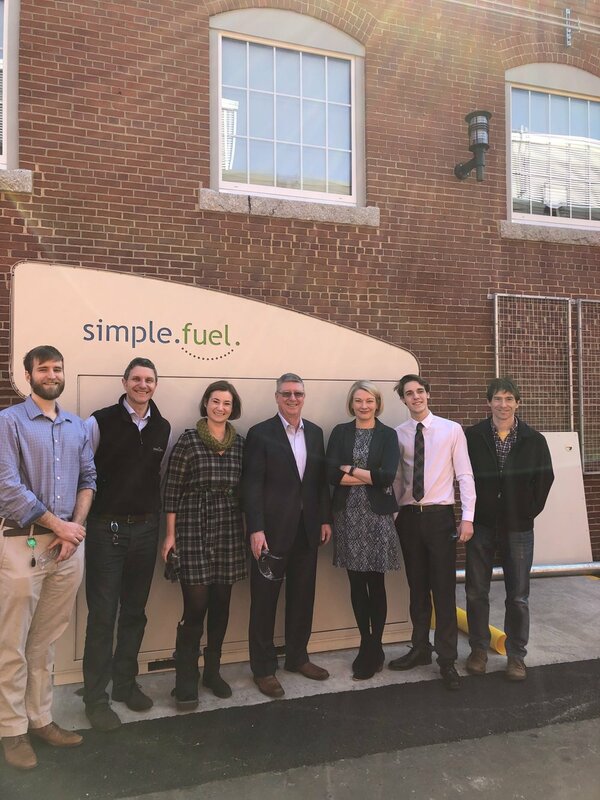 Greentown Learn was very excited to host Representative Joseph Wagner, the Assistant Majority Leader of the Massachusetts House of Representatives, for a tour of Greentown. Representative Wagner has been a continued supporter of both cleantech and the Massachusetts innovation community. This includes support for the Greentown Learn Manufacturing Initiative’s mission of connection hardware startups with regional manufacturing. The tour featured pitches from Greentown’s own, Heila Technologies, Rise Robotics, and Ivys Energy Solution, showing off their brand new Hydrogen fueling station outside of Greentown Labs. Heila has been very successful user of the manufacturing initiative, getting everything from their printed circuit boards to their enclosures sourced through manufacturing initiative introductions while Rise Robotics highlights Greentown Learn’s east-west connection, having gotten parts from Peerless Precision, a precision machining shop in Westfield MA. Greentown Learn is very thankful to have the support and backing of officials like Representative Wagner as we continue to help hardware startups reach their potential.